Cricket is a versatile sport which, in very wide-ranging terms, can be divided into major cricket and minor cricket based on playing principles. In terms of major cricket, matches are held in which the sides have two innings. Single innings are played in the case of the minor cricket. The earlier, known as first-class cricket, has period of three to five days and the latter, known as restricted over's cricket because each team bowls a limit on average 50 or 20 over's has a designed duration of one day only. The chief types of cricket are Test cricket, One day cricket and Twenty20 cricket. The word "Test" initiated with the perception that sports matches played between national representative players were the eventual test of sporting ability. Cricket test matches are the highest form of the sport of cricket and are measured by players and solemn cricket fans. Playing an definitive test match as judged against the one day international cricket is much more exigent and difficult. Test cricket is the top standard of first-class cricket. The first Official Laws of Cricket were put into operation in February 1774 when a set of gentlemen and aristocrats met at the Star and Garter in Pall Mall to officially lay down a set of act that would be pursued by every cricketer, team and official in England. The first test match took part between England and Australia in 1877, with the conception of the famous "Ashes" trophy in 1882 after Australia effortlessly beat the Marylebone Cricket Club team. Test cricket is roughly at all times played as a series of matches amid two countries, with all game in the chain taking place in the same country. The number of game in a series differs from one to six. India was granted their test status in the year 1932 where the first test match was beside England at Lord's London 25-28 June 1932.India became the sixth team to be established Test cricket status. Test matches among two teams are generally played in a group of matches called a "series". Matches proceed up to five days and a series normally consists of three to five matches. Test matches that are not over and done within the allotted time are drawn. In the case of Test cricket the chance of a draw often promotes a team that is batting last and well following to bat defensively, giving up any slight possibility to avoid a loss and get a win. Cricket test competition is played over a period of five days with three sessions of two hours scattered with a 40-minute break for lunch and 20-minute break for afternoon tea daily. If bad climate or a change of innings occurs close to a planned break, the break may be taken at once. The final session may also be lengthened by 30 minutes (excluding the 5th day) if the umpires trust the match can be decided within that time these circumstances the extra time played is taken off the end of the programmed final day's play. 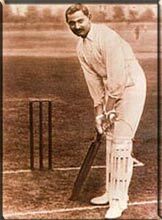 In the early days of the game, Test matches were played over three or four days. To choose which side bats first, aforementioned to the start of play on the first day, the two team captains and the match referee get together at the centre of the wicket for a coin toss. The abode captain will toss the coin, with the vacation captain calling either "Heads" or "Tails" while the coin is in the air. The squad who wins the toss of the coin elects to choose whether to bat or bowl first, and bats either until each batter is discharged or they wish to stop batting, termed a "declaration". There is no boundary to how long they can strike provided, there hang about at least two batsmen who have not been fired. After this the players change position, and the other group does the batting. If the other squad is sacked with a score of two hundred runs or more in the rear of the first team, then the first side has the preference whether to make the other squad bat again for their "second innings" or bat itself to achieve a better lead. If the follow-on is obligatory, then the first side bats until it is discharged or declares. If this team's entire score from both its innings is less than the other side, then it wins the game. If this is not the case then the other side must bat in its second innings to challenge to score more than the first team. If it is kicked out before this occurs, then the first squad wins the game. If time scampers out before either of the above take place, the game is called a draw. If the follow-on is not imposed or the other team's score is amply large so that the follow-on cannot be obligatory, once this team is fired or affirms, then the first side bats again until it is discharged or declares, or time runs out. If the gain of the first team is less for its two innings as compared to the other side score from its innings, then the other team is the champion. Or else the other team will bat again. If their overall score gets to more than the first team's total, they triumph the match. If they are dismissed before attaining first team's total, then first squad wins the match. If neither side finishes before the planned end of the match, it is a draw. At the closing stages if both teams end up being discharged twice with the same pooled totals, the game is a tie. After eighty over's, the captain of the bowling team has the choice to take a new ball. A new ball, which is harder and smoother than an old ball, usually favors' fast bowlers who can make it jump at a greater series of heights and speeds. The roughened, softer surface of an old ball is more beneficial to spin bowlers or those using reverse swing. The captain may wait for the verdict to take the new ball if he wishes to carry on with his spinners but most regard the new ball as a chance to bring in new life into the bowling and more probability of taking wickets. All four innings have fulfilled. The squad batting fourth is all out and failed to overhaul the other team, so the side that hit third is the winners. The winning scope is the difference in the cumulative run totals of the two teams (for example, "Team A wins by 105 runs"). All four innings have completed with the scores tied. To be tied, the summative run total of each side must be equal. Though, such an event is rare in over 1,900 Test matches played; only two have been tied. The team batting in the fourth innings surpasses the opposing team's run total. The match ends without delay and the batting squad is the winner. The endearing margin is the number of wickets lasting in the innings (for example, "Team B wins by six wickets"). The third innings terminates with the side that batted twice still straggle the side that batted once. The match stops without performing a fourth innings and the team that batted once is the winner. The winning fringe is "an innings" plus the distinction in aggregate run totals of the teams (for example, "Team B wins by an innings and 86runs"). The match is awarded due to forfeiture If a team declines to take the field of play, the umpires may reward the match to the divergent team. Time for the game expires without a result being reached. This more often occurs at the end of the fifth day. The game is a draw and neither team wins, despite of the relative positions of the teams at the time. A common causal factor to drawn results is the loss of playing time to unfavorable weather conditions. The match is discarded because the ground is declared unfit for play. There are copious world-renowned cricket stadiums sited in India. The majority grounds are under the management of various State Cricket Boards as conflicted to being under the control of the BCCI. The Bombay Gymkhana was the first ground in India to host a full-blown cricket match attributes an Indian cricket team. The initial stadium to congregate a Test match in India was moreover the Gymkhana Ground in Bombay in 1933, the only Test it ever hosted. The second and third Tests in the 1933 progression were horded at Eden Gardens and Chepauk. The Feroz Shah Kotla in Delhi was the first stadium to mass a Test match after independence, a draw in opposition to the West Indies in 1948, the first of a 5-Test series. Nineteen stadiums in India have crowded official Test matches. In up to date years, there has been a boost in the number of world-class cricket stadiums in India, with manifold Test venues in Lucknow, Chandigarh, Chennai and Mumbai. Eden Gardens in Kolkata has hosted a good number of Tests (34), and also has the leading capacity of any cricket stadium in the world, being skilled of holding more than 100,000 spectators. Other most important stadiums in India include the Feroz Shah Kotla, which was recognized in 1883 and hosted terrific matches including Anil Kumble's ten wickets in an innings heave against Pakistan. The Bombay Gymkhana hosted the foremost ever test match in India, the only test it has swarmed to date. Wankhede Stadium, well-known in 1974 it has an ability to hold 33,000 audiences are currently the most popluar spot in the city. It has massed 21 Test matches. It was off the record heir of the Brabourne Stadium, which is also located in Mumbai. Mumbai is often well thought-out the cricketing capital of India for the reason that of its fans and the endowment it produces and thus the stadium frequently hosts major Test matches. The M. A. Chidambaram Stadium in Chepauk is also measured to be a significant historical Indian cricket ground, conventional in the early 1900s it was the spot of India's first Test victory.